Meditation For Depression: Better Than Meds? Anxiety and Depression Better Than Meds? ​According to Alice Walton, Mindfulness Meditation is being studied to identify the positive impact this approach may have in treating anxiety and depression, and she believes that several studies and article suggest that meditation can decrease anxiety and depression symptoms. In-fact, this may be an effective approach for anxiety treatment without medication. Walton purports that mindfulness meditation is an effective approach to managing the symptoms of anxiety and depression, and her findings are supported by new publications. She explains that “A new review study, out yesterday in the Journal of the American Medical Association (JAMA) Internal Medicine, finds that mindfulness meditation may rival antidepressants in easing the symptoms of depression. 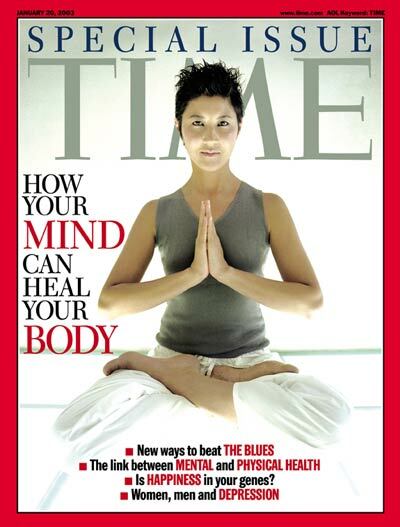 The review is noteworthy for this reason: Its authors combed thousands of earlier studies on meditation, arriving at a small number of randomized clinical trials (the gold standard in science) for use in the analysis. Mindfulness meditation may not cure all, the research found, but when it comes to the treatment of depression, anxiety, and pain, the practice may be just as effective as medication.” However, one must also ask whether this could provide independent anxiety treatment without medication as well. Dr. Goyal reported that he was encouraged from the study: “Particularly so”, he says, “since most of the studies included in the review used very short training periods – often eight weeks or less – and one might expect even more robust results with longer training periods. Compared to other skills that we train in. The amount of training received by the participants in the trials was relatively brief. Yet, we are seeing a small but consistent benefit for symptoms of anxiety, depression, and pain. So you wonder whether we might see larger effects with more training, practice, and skill.” This statement provides some hope in the possibility that with longer training on mindfulness meditation, there would be noted increase in significant outcomes in future studies – Perhaps with even more powerful results than medication. Walton also noted that the studies on the effects of meditation on the brain are encouraging, where she says that “Mindfulness may enhance “attention regulation, body awareness, emotional regulation, and changes in self-perspective (e.g., decentering),” which may all play a role in depression. On a purely biological level, MRI studies have shown that meditation is linked to a reduction in activity in the amygdala, the brain area that governs the stress response, and to reduced activity in the default mode network, the brain network that’s “on” when your mind is wandering from thought to thought, which is often linked to feelings of unhappiness and stress.noted “. With an increase in mental health issues such as depression and anxiety, alternative approaches to managing symptoms are needed, and mindfulness meditation can be used concurrently with medication or as an alternative to medication. Furthermore, many people are fearful of medication, so their symptoms remain untreated, and this alternative approach could prove to be very beneficial due to the lack of side-effects. It will be interesting to see if there is a study that can identify how a specific number of training sessions may produce a more powerful result with managing depression and anxiety symptoms. I believe that doctors, psychiatrists, and psychotherapists could be trained in mindfulness meditation in order to provide these strategies to their patients and clients in order to manage their symptoms more effectively. Rigorous training programs will be required, because mindfulness meditation is not currently taught through standard coursework in medical school. I hope that this could be an additional approach by those serving people who are trying to manage depression and anxiety. I believe in earnest that meditation can sufficiently treat anxiety and depression as efficiently if not more efficiently and effectively as medications. In our society today nearly 20% of the American population are diagnosed with either depression and/or a form of an anxiety disorder. The real percentages are most likely so much higher when we might consider those of us that have never been clinically diagnosed, misdiagnosed, and or refused any treatment. I believe in meditation as a practical method to connect with my inner feelings that will help me to block or to deflect, not merely suppress, the outside triggers and contributors to my stress. All too often, I find that some of the principal triggers or contributors are family members or close friends. The people that we love and interact with most frequently are the people, or the circumstances we encounter because of these people, that cause us the greatest distress. They create the main stressors that cause in us great anxiety and ultimately greater harm to our health and overall wellbeing. I believe meditation can come in many forms depending on individuals. 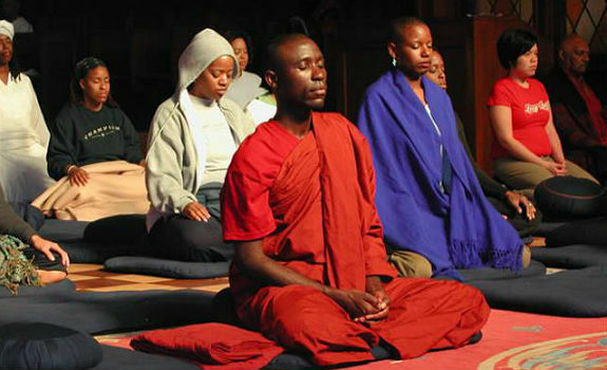 Prayer, simple solitude, a quiet time, or perhaps even yoga classes are often contemplative and a form of meditation. It is up to the individual to determine what form of meditation works. The encouragement should be for everyone to simply try and try again to discover what is effective for them.